4 in x 1 1/2 in x 3 in ClarkDietrich EasyClip E-Series Support Clip at Tamarack Materials, Inc.
EasyClip E-Series Support Clips are used for rigid stand-off connections. 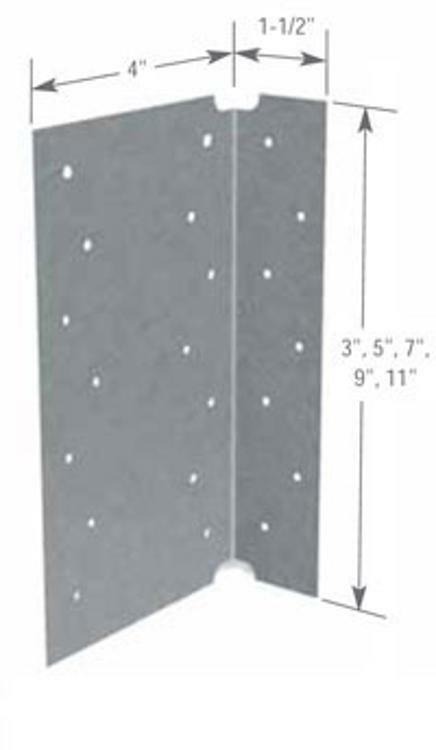 The 4" wide leg provides extra length to achieve stand-off connections up to 3". They are commonly used in by-pass wall conditions, solid blocking attachments in joist framing and to secure rafter framing to the primary structure. These clips are pre-punched for faster and more accurate fastener placement.